Maybe she's a “diva,” but Mariah Carey is also truly excellent at capturing sentiment in song. I happen to like Christmas music, but the genre is dominated by the favorite artists of a given era singing the same songs I’ve already heard sung several times by dozens of other artists. I can listen to anyone sing “The Christmas Song” be it SWV, Toni Braxton, Fantasia, Christina Aguilera, my drunk uncle after too many sips of Crown Royal or your tipsy auntie that you posted on Instagram Live. Very few artists have been willing to try and branch out into new holiday material, and those that do are not especially successful. Yes, I might bop to Destiny’s Child’s “8 Days of Christmas,” but it sounds every bit of 2001 and I’m just going to turn on “Kitty Kat” to cleanse my aural palette. In “The Key of C,” writer Chris Dickinson reviewed what were, in 1994, the newly Christmas-centered album releases of the year. The list included the likes of Tony Bennett, Trisha Yearwood, Neil Diamond and Mariah Carey. The piece was delightfully shady throughout, but he did convey a common sentiment about holiday releases. Dickinson’s point (and a valid one) was that very few artists were capable of releasing holiday material on par with classics associated with the likes of Bing Crosby, Johnny Mathis or Nat King Cole. If anything, a holiday album was a cash grab — notably for well-established artists, not for those still poppin’. This all likely why Carey herself was so reluctant to do a Christmas album when originally presented with the idea to do a holiday project. Almost 25 years after its release, “All I Want For Christmas Is You” is not only her biggest selling single ever, it outpaces holiday staples such as "Feliz Navidad" and "Jingle Bell Rock." In 1994, Carey was quoted saying that in recording the song, she meant for it to be “fun.” Fun it is, but the song truly encapsulates what has made Mariah Carey such an enduring hitmaker. But people should have known: By 1994, Carey had already amassed eight No. 1 singles in four years — seven of which she wrote herself. And Carey has been vehement in noting her songwriting capabilities throughout her almost 30 year career, likely because people — even those who call themselves ardent fans — still question just how much of a hand she truly has had in crafting her material. Carey may have developed a reputation of being a “diva,” but not enough attention is paid to how truly excellent she is at capturing sentiment in song. That’s why both relatives two decades my junior and I can all claim to have heard “Hero” at our graduations. It’s why many of us can say we’ve heard “One Sweet Day” at a funeral. In other words, Mariah the songwriter just got it and she got it on the first try. 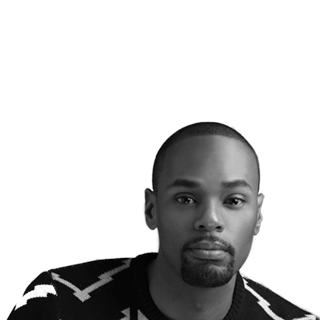 Michael Arceneaux is the author of the book "I Can't Date Jesus" (July 2018, Atria Books).